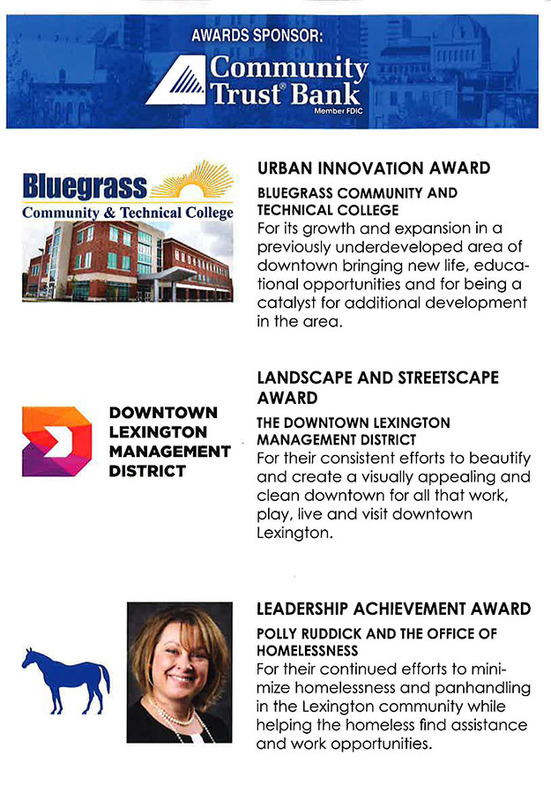 The Downtown Lexington Partnership recognized local entities and individuals who are making a positive impact on our vibrant Lexington downtown. The Downtown Lexington Management District (DLMD), chaired by McBrayer's Managing Member Jim Frazier, was awarded the Landscape and Streetscape, for their consistent efforts to create a visually appealing and clean downtown for all that work, play, live and visit. 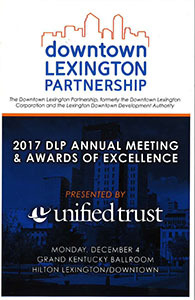 Urban Downtown Ambassador David Warren of Block by Block, who leads the team beautifying downtown via the DLMD, received the Outstanding Individual Award for his exceptional character and clear love for the city of Lexington and its residents. 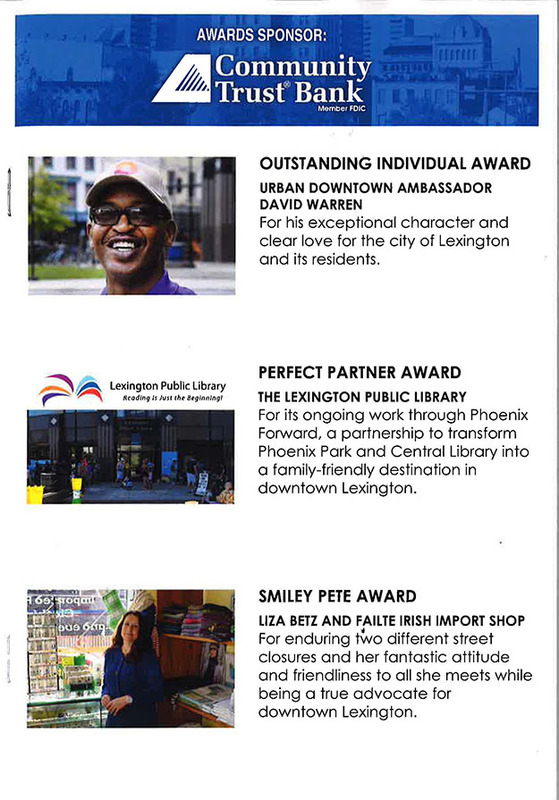 Lexington Public Library received the Perfect Partner Award recognizing their ongoing work with Phoenix Forward, a partnership to transform Phoenix Park and Central Library into a family-friendly destination in the heart of downtown Lexington. Associate Attorney Brendan Yates serves on the Library Foundation board. Other honorees included Bluegrass Community and Technical College with the Urban Innovation Award, Polly Ruddick and the Office of Homelessness with the Leadership Achievement Award, and Liza Betz and Failte Irish Import Shop with the honor of the Smiley Pete Award. Congratulations to all the honorees and THANK YOU for making our downtown welcoming and fun!